PDM photos | Simple photos:simple explanations. 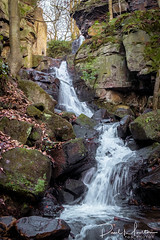 On this site you will find a few of my photos with some detail on the subject, methodology and technical details. More of my photos can be seen at FLICKR. Thank you for visiting. Wow – A year since I last posted. Must get my act together. This is from a recent trip to Paris with my Fiancee. Taken from the top of the Montparnasse tower where they are very kind to photographers. There are gaps in the glass surrounding the roof so you don’t have to shoot through a dirty distorting extra lens element! Here I was trying to keep some light in the sky but due to a large storm that came in there was no nice sunset on this evening. In post I have reduced noise and sharpened and selectively brightened the roadways to make them stand out. I have used a Fuji XT-1 for this trip. I love the lightness and size of the Fuji system and so will gradually make the switch away from Canon. 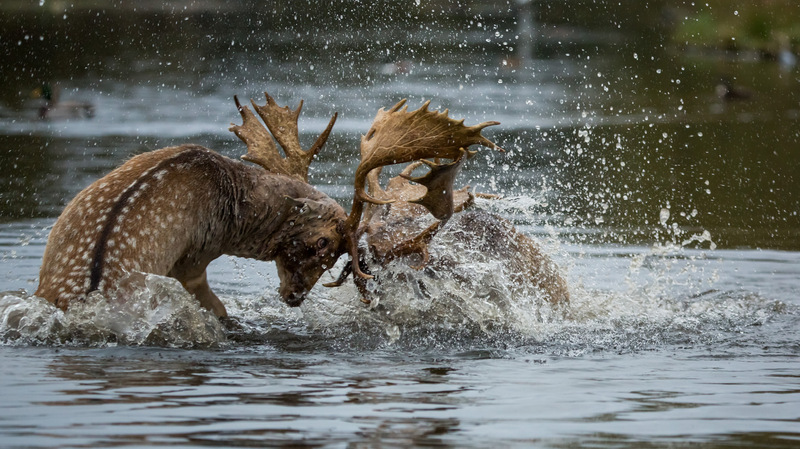 This is a picture of deer fighting during the ‘rut’ that takes place in the autumn. In this time, the stags try to keep control of their harems while the young bucks try to infiltrate. There is often a bit of aggro between males. These two had been fighting right next to the car park and then appeared to strike peace. They both wandered into the lake to get a drink and while in there, it all started again. 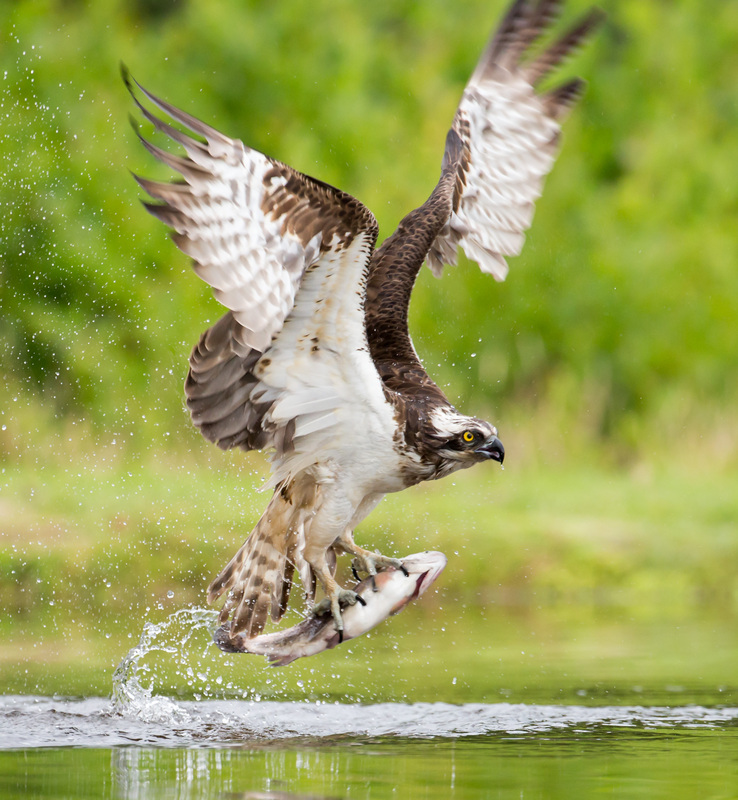 This is a picture of an Osprey taking a Brown trout from a small man made lake in Aviemore, Scotland. There are some hides alongside the water. The hides are set low so that the camera is close to water level. At the point the Osprey lands in the water you have to be very quick to acquire the bird in the viewfinder, get focus and then hit the shutter. Fast focus and many frames per second are key to getting the shot here. If you don’t get it first time you won’t catch up. It is all over in a couple of seconds. We spent a total of 8 hours in the hide over two mornings. We arrive at 4:30am to go into the hide at 5 leaving at about 9am. We saw a total of 7 birds dive into the lake. All 7 caught a fish. 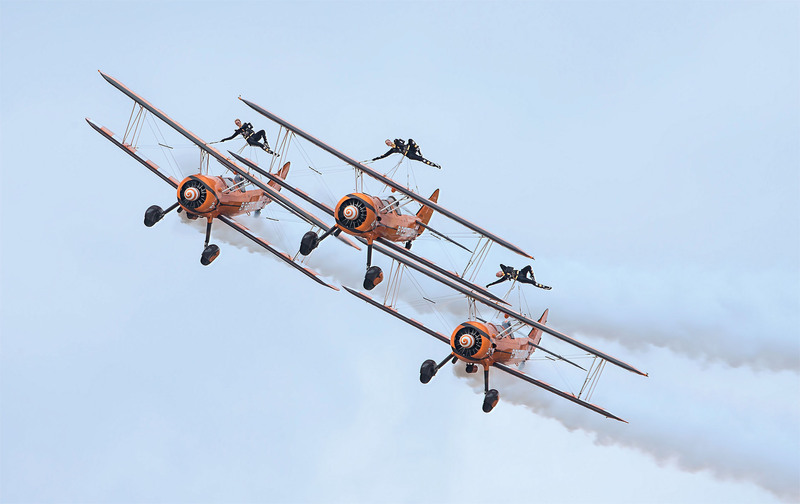 This is a picture of the Breitling wing walkers in action at Farnborough air Show in the UK July 2014. In this shot I have dialed the exposure time down to 1/200 in order to blur the propellers out of the shot. A stationary prop takes away the look of speed and causes the picture to look wrong. I used high speed shooting and took a number of bursts of 3 or 4 frames to make sure i had one that was sharp given this was taken at 560mm focal length. 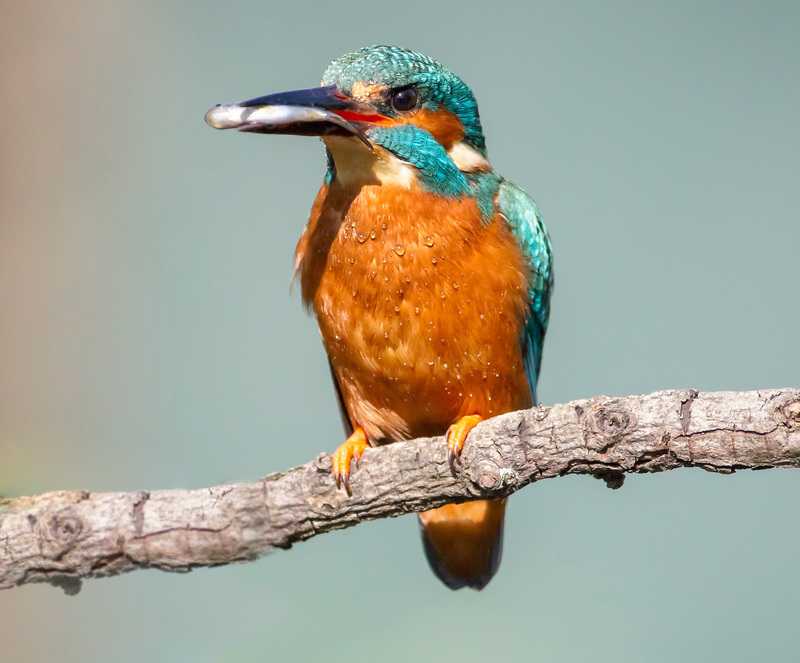 This is a picture of a Kingfisher taken from a hide on the river Salwarpe near Droitwich in the UK. The bird is enticed to the perch by placing a large tray underneath it that has small trout in it however, on the day that I was there, we had 6 visits from him to fish and every single time he dived in (about 20 in total) he went in to the river right next to the tray! He got a fish every time. The sunlight was full and harsh but the colours on this bird really show up in the light. He has just arrived back at the perch after catching this fish. You get about 1 second before he shakes to remove the water on his feathers so a quick focus push and then click. This is a picture of African Fish Eagle taken at the Hawk Conservancy nr Andover in Hampshire. I go here a lot to practise on birds in flight so that I’m prepared (hopefully) when I am in the wild. Because I am so close to the bird and using a longish focal length of 500mm, the depth of field is quite shallow. It does give a nice smooth background though. It is vital in shots like this to have the eye in focus (the near eye if two are visible but it is not possible to get them both in focus). The other problem I get with this bird sometimes is the contrast in bright sunshine can blow the white feathers on top of the head but in this one I have been lucky with that. It was in full sunshine (you can see the hard shadow on the side of the head) but there was enough reflected light to lift the shadows under the wings. The hard part of this shot was tracking the bird. It is very big in the frame so there is not much scope for wobble. In this frame I have cropped the bottom to make the image aspect wider but the edges and top are untouched. This is a picture of 44932 LMS Stanier Class 5 4-6-0. 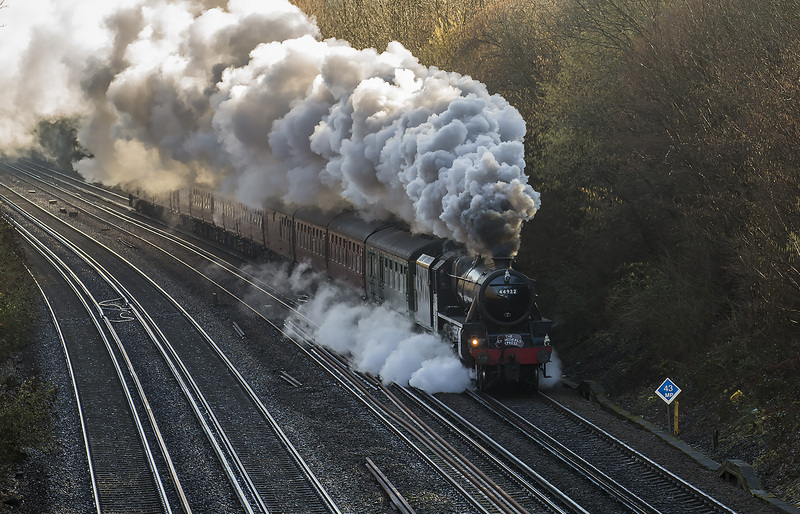 She was one of the “Black Five” locos and is pictured here passing between Hook and Basingstoke in the south of England on its run as the Cathedral’s Express. Although it is more usual to have to go to restored lines to see steam trains running there are a number that run tours on main lines. Enthusiasts pay to go out for the day and have dinner served how it used to be – On china plates and by silver service. For the picture a nice cold morning is ideal to get maximum steam condensing into the atmosphere and a good smoke stack. 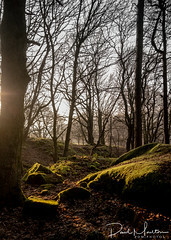 I shot this in RAW as it would be important to get as much detail as possible from the shadows and the highlights. The difficulty was that the dark engine was in shadow while the bright steam was in sunlight!